Winter workouts got you down? 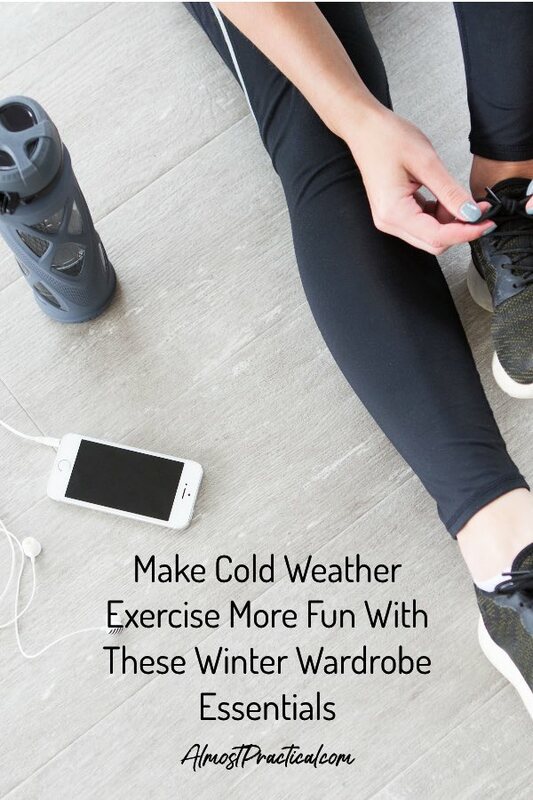 Make cold weather exercise more fun with these wardrobe essentials. I mentioned in my Weekly News that I am determined to fit more exercise into my daily life. The problem is that I live in New England and winters here are pretty darn cold. Add that to the probability that I must have been raised by bears because hibernation during the winter months sounds like a good option to me. What you end up with is the fact that it is really hard to get motivated to leave a warm and comfortable environment to go outside for any reason whatsoever – including exercising and going to the gym. So, I took a hard look at what was holding me back. The answer was quite obvious – I don't like being cold. But here's the thing – I really don't have to be. 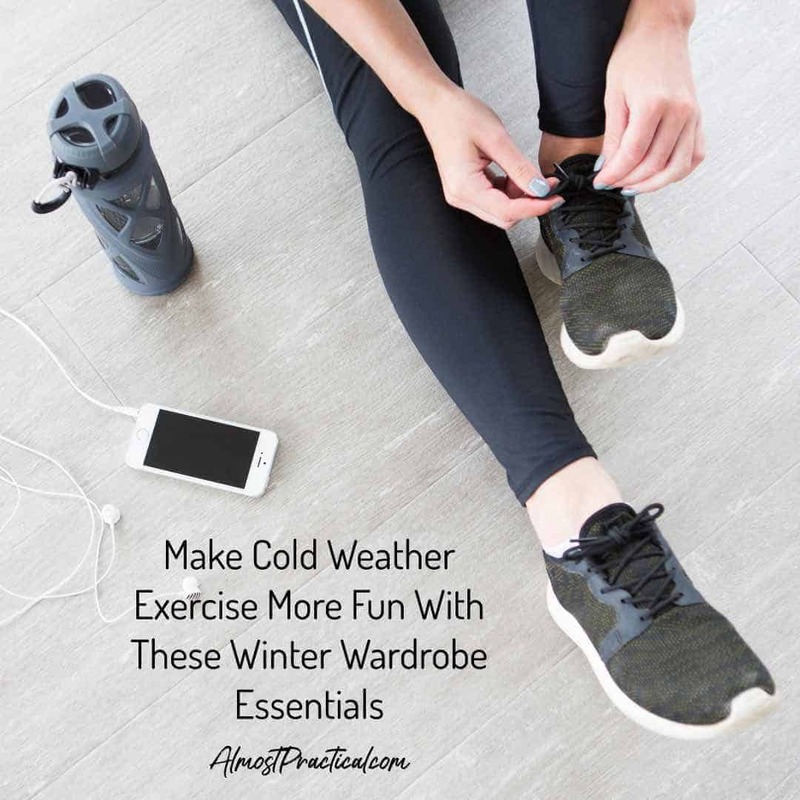 There are so many cute, winter wardrobe essentials designed to keep you warm when you exercise during the cold months. I just didn't have many of them in my own closet. Which meant that I needed to go shopping – and shop I did! While I can't find links to everything that I actually purchased – I am breaking things down by category for you, because you should seriously consider owning something from each one. The trick to staying warm outside in the cold is to wear layers. It is time tested advice that still holds true. I am going to start with this one because – oh my are these a game changer. The other day – I ventured outside to walk our dog. Even though it was cold – I stayed pretty toasty with all my layers. Except, I am embarrassed to admit, my backside. A long coat can remedy the situation, but thermal leggings are a must, too. Here is a pair from 90 degree. Another one from RBX – which is the maker of my top. This pair from LuluLemon are fleecy inside. UnderArmour also makes a pair of cold weather leggings for women. Athleta makes these leggings with Primaloft to keep you warm. I don't even know what to call this category. There are those stretchy polyester athletic tops that are soft and fleecy on the inside. I actually got two of these in different weights so I could layer them. 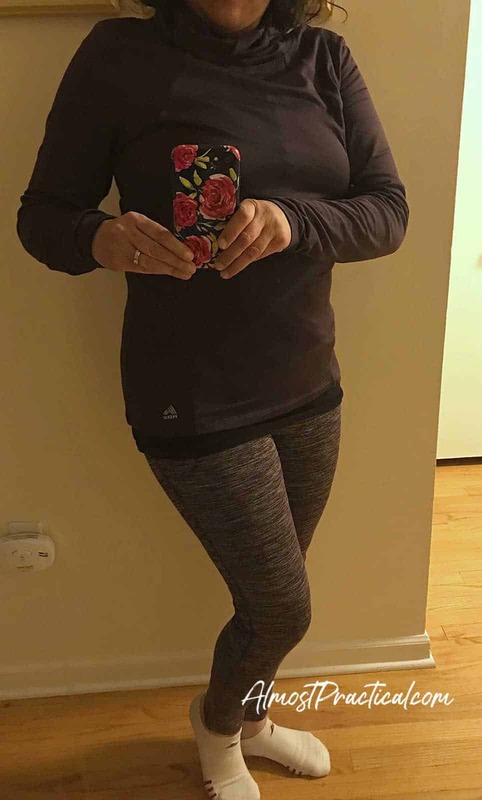 First I purchased a lightweight fleece lined cowl neck shirt from RBX (here is a similar one in a quarter zip) and then a heavier weight quarter zip like this one to go over it. Contrary to standard advice, I typically wear a cotton t-shirt under both layers. I think people recommend that you stay away from cotton because it gets wet when you perspire and doesn't dry quickly. However, I just prefer the feel of cotton right next to my skin so I keep that as a first layer usually. Here's a rare cameo of me wearing a pair of fleece lined leggings and the fleece lined top. The lighting is horrid, I know. Believe it or not – all of my athletic socks are the little ankle type socks. On my last outdoor walk, I ended up wearing my husbands tube socks – which were baggy and uncomfortable. For me, cold ankles would be a good excuse to sit home by the fireplace instead of hitting the trail. If you are like me – invest in a pair of warm socks that cover your ankles like these from Bombas and you will be good to go. A down coat is the perfect topper for your outdoor winter outfit. It is lightweight, yet it is really efficient at keeping the cold out. This one is gorgeous and you could wear it all winter long with just about anything – not just for your hikes or walks. But if you are a runner, then the longer length will likely not work for you – so a hip length jacket style might be a better choice. Now, I was going to recommend the standard hat, scarf, glove combo – but then I saw this. This one piece of outerwear solves the hat and scarf in one fell swoop. As for gloves – wear a warm pair like these – preferable with an eTip so you can use your phone if you have to. By this time you will be very bundled. In fact, getting ready might just take you longer than the exercise itself. But I can tell you that I have taken more outdoor walks this winter than I have in years past – maybe even collectively. What you wear does make a difference. I used to be a runner and proper gear for the cold makes such a difference in being able to workout outdoors. I miss my runs but am able to walk which is also great exercise. I don’t have an Apple Watch but am intrigued by one. I agree, it makes a huge difference. And when I don’t feel like going out in the cold, I actually make myself go because I have to justify buying the gear in the first place. It’s a good motivator. I have never been a runner (I always said that is what you do only when you have to get someplace really fast. 😉 ) but I do like to walk outdoors. As to the Apple Watch – I do love it! I am on a 64 day Move Streak now. Another motivator, I guess.